Why buy gold when you can buy silver? Silver is a store of wealth but it’s also cheaper and has more industrial uses than gold. If you’re bearish buy gold if you’re bullish buy copper and if you’re confused buy silver. Confusion sums up this environment given negative interest rates and swings in the dollar and markets it seems like now is the time for silver. Silver has been regarded as the poor man’s gold for too long. The ratio of gold to silver prices is the highest for many years. It’s a great opportunity for investors. 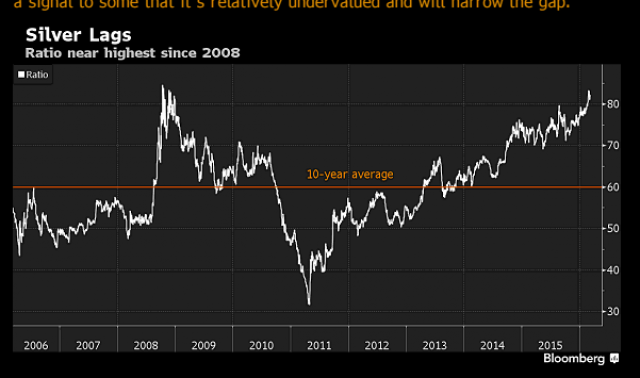 Bullion buyers and strategists monitor this ratio as a signal to buy or sell bullion. A lower ratio means gold is a better investment a higher ratio means silver adds more value for your dollar. The ratio is surprisingly back to where it was in the panic days of the Great Financial Crisis when investors piled into gold. Pre 1900 the gold to silver ratio was stable at 16x. Julian Jessop, head of commodities research at Capital Economics Ltd.in London states silver may climb to US $21 per ounce from the April price of US$16 per ounce. 2018 will be the first time in modern history that silver mining production will drop but demand is expected to increase. Over 50% of demand is from electronics, cars and solar. 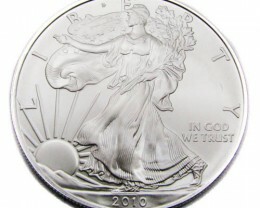 Even coin demand is increasing in the USA 44 million silver eagle coins were minted last year compared to 9.2 million in 2000. 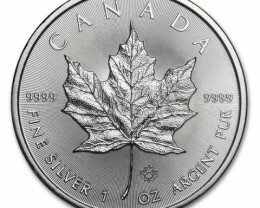 Canadian maple minted 25 million coins in 2015 compared to 400,000 in 2000. Negative Interest rates are here to stay and are trigger point to silver price increases. Why leave money in the bank and pay them to hold it for you? I know I’d feel safer with silver under the bed then paying the bank to hold my money. 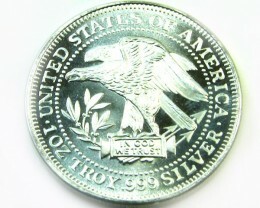 Silver has been used in coins for centuries. The ancient Romans made silver coins for the Roman Empire but only Rome was allowed to make silver coins and all the countries that were made part of the roman Empire could only produce bronze, not silver coins. 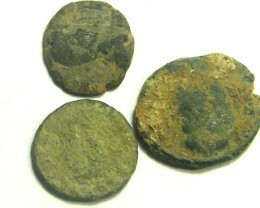 The British made their pennies before 1797 from silver. 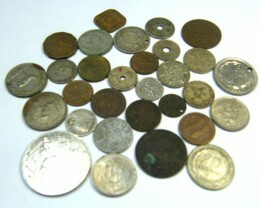 The Mexican Reales was the most common used silver coin for trade from 1500 to 1800. Since than, silver has been held in high esteem when used in coins..
USA coins minted Dime and Quarter coins from 1965 to 2009 have 9.21% silver content. 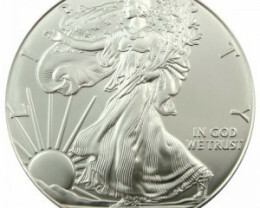 But after 1965 the USA did not mint any more silver coins till 1985. 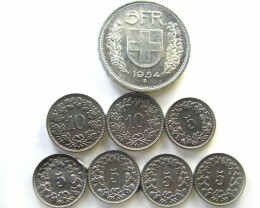 Some coins have higher silver value today than when the silver coin was made. For example the 1878 to 19212 Morgan Dollar is worth over $10 in silver content alone. 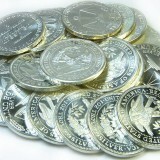 Silver has risen more than gold in the last 20 odd years due to the high demand in industry for silver. 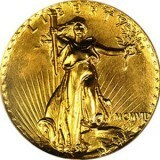 In most corrections silver has doubled the price of gold and that is still true today. In the infamous Y2K bug people bought vast quantities of silver coins but after the none event most of these coins were melted down. 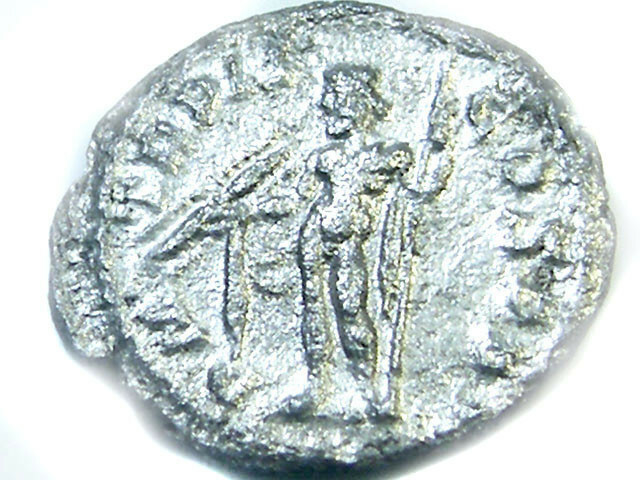 Even the Romans at the end of their Empire, melted down their silver coins also as the silver value was worth more. now centuries later we are doing the same. That is the power and history of silver coins. 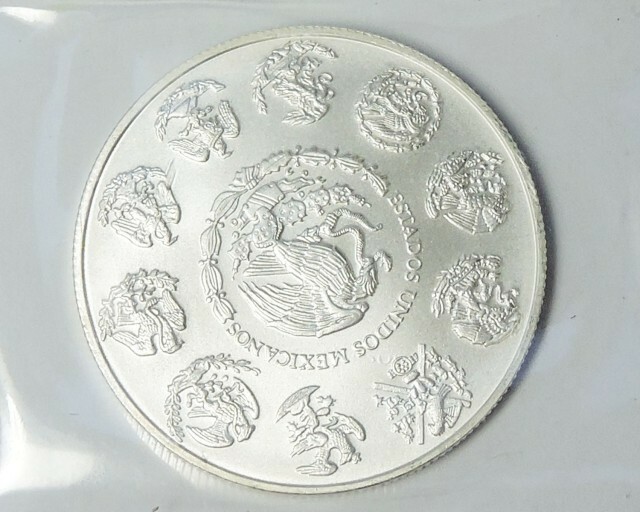 Today many countries make Commemorative silver coins to mark a special event like Coronation, independence etc. 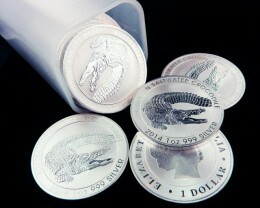 Each series had a one ounce 99.99% silver coin with one carats of gemstones,Sapphire,Diamond and Opals. Next in these series are the pearl and gold coin sets. This series has the famous patented locket design which encases the gemstones in the coins .the coin is set in Jarrah wood top box with a certificate of authenticity. 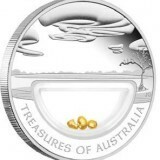 The Treasures of Australia coins are also in gold ½ ounce and one ounce gold coins. As well as coins and gemstones in presentation boxes, gemstones will be available in beautiful cases also . Gemstones treasures will include Opals ,sapphire, gold , pearls, Rubies ,Emeralds. South African gold and diamonds series will include uncirculated south African 5 shillings coin and Australian series will include one ounce silver coin kookaburra and Koalas coins with sapphires and opals. 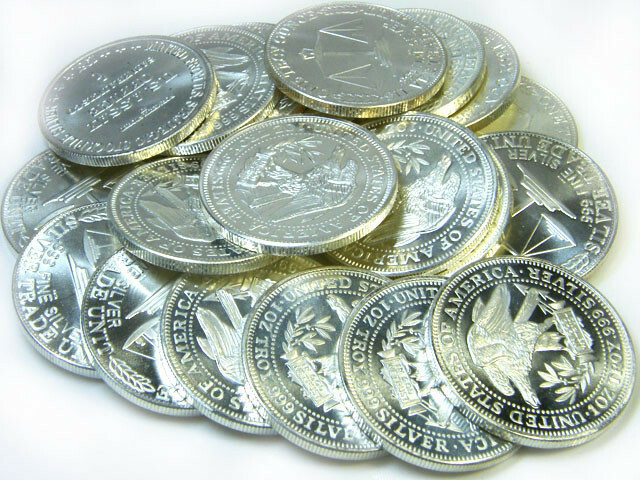 Silver prices have fluctuated wildly over the last decade and this base metal is used now days in many different industries Speculators come and go in the silver market But long term investors should have part of their portfolio in silver coins as they are easy to sell or trade. The western world ha s gone through periods of low inflation and when inflation starts it is good time to increase spending in silver bullion or coins. Long term silver has been a reasonable investment but the more important strategy is not is silver increase up or down 5% but fact you hold actual silver instead paper so it is a relevant fall back situation for investors Chartists can plot when market starts to increase and when potential for down sizing They follow silver production and demand and lately demand has been high for silver in relation to mining But investors who enjoy the advantage of owing should ignore all these marketing hypes and just buy silver each month or each quarter regardless of the spot price Than easy to average your purchase out over several years. I can make statement today that I think silver coins as single or in sets will now be considered heirloom and I am sure silver coins will now be considered a personnel matter of leaving something of value to the next generation. 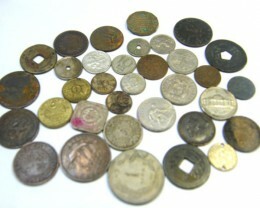 After the precious wedding ring silver coins will become known a pass down sentimental items for the next generation. My grandfather left me 50 silver .50 1966 coins and I still own them today and will pass down to my sons Proof sets silver coins are highly recommended and make sure they are stored away from moisture and or sunlight Some silver coins tarnish but best never to clean as many people scratch proof or uncirculated coins while cleaning Even silver coins kept in sealed envelope can tarnish if small tear or hole happens to the sealed envelope, but do not open leave as is.